Do you bike in the dark very often? I really love riding at night. The hum of the city--particularly vehicle engines & construction noise--is reduced to a whisper. It's great with friends too. We can easily have a conversation as we glide through the cool air. Bike the Night, presented by MEC, happens Saturday, September 16th. 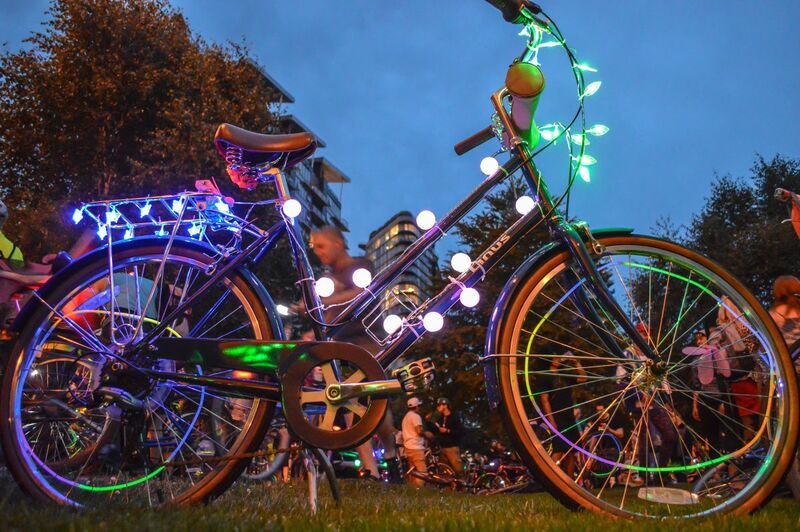 HUB Cycling is gathering thousands of cyclists for Vancouver’s only official night ride on city streets! Experience the beauty & energy of nocturnal Vancouver at its best--by bike. Take in the city skyline as we cruise through car-free Vancouver streets & over the iconic Burrard Bridge. Come at 6pm for a bike festival, the ride leaves at 8pm. Tickets only $10 for HUB Members ($15 for non-members) until September 1st! Youth and children under 16 are free. Live DJ - Rennie Foster! Join us for #Bikethenight presented by @mec - an epic night time #bikeride through car-free @cityofvancouver streets on Sept 16 - Sign Up bikethenight.ca (link in bio) Experience the beauty and energy of nocturnal #Vancouver at its best - by #bike. 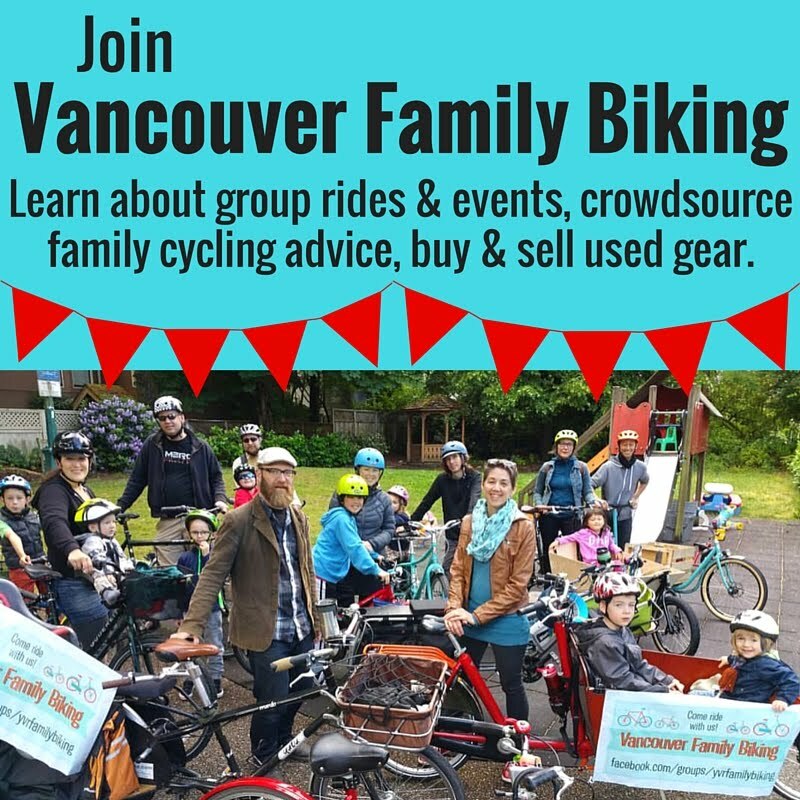 Start at #olympicvillage, cruise around #falsecreek and over the iconic #burrardbridge Kick off party starts at 6pm and ride begins at 8pm. Decked out bikes: Find great lights at MEC and other local bike shops. There will also be free bike decorating for participants at the start location. Costumes: Need creative inspiration? HUB has been brainstorming for you. Find some HERE. Music: Bring your favourite playlist along! Portable bluetooth speakers are great. Now that you have an idea of how fun it's going to be, here's the best part: you could win four tickets to Bike the Night here on Spokesmama! You can enter via the Rafflecopter widget below. Contest ends on Sunday, August 20, at 11:59pm. The winner will be notified via email, so please make sure you check the email address you registered with Rafflecopter! I'll choose another winner if I don't hear back within 24 hours of sending the email. GOOD LUCK! Hope I win! I ride my bike to/from work. This sounds like more fun!